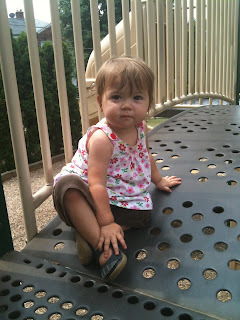 We are currently on tour, a tour of playgrounds. We are taking advantage of the nice fall weather and visiting as many local playgrounds as we can. We are recording all our stops on the blog but I thought it would be nice to have a comprehensive list so here are all the playgrounds we have visited so far and I will continue to add to this list as we visit more! Right off of Coldspring across from Loyola College this small playground has plenty to do, it is easy to keep an eye on kids playing and most important it is shaded all day long!!!! So well technically not a playground Irvine has this incredible outdoor classroom with a sand pit, bridges, stuff to climb on and play with. Not to mention tons of walking trails and picnic tables. Located in Rogers Forge the Tot Lot is great for little kids! A small playground just off of Towson Bypass and Joppa Roads, with fields, basketball courts and a fun dinosaur climber. Located in Patterson Park just off of Eastern Avenue, this playground is very cool! Also know as the Dorsey Observation Area there is not much to this playground but the view makes the trip worthwhile! Located at the top of Federal Hill in Federal Hill Park another playground that is most impressive because of the views. Located in Jacksonville this playground has a lot of unique play equipment. In White Marsh, this playground is a lot like Meadowood, with lots of fields and walking trails. Small playground just outside of Mt. Washington Village, very new and very toddler friendly. In current standing as my favorite playground of the tour, awesome playground and farm animals! Small Hampden Playground with another dinosaur climber. A great hidden playground with lots to do, large sandbox and a view of the light rail trains. A small playground in Wyman Park great for toddlers. With wooden towers this playground looks like a castle and has lots to do for kids of all ages. 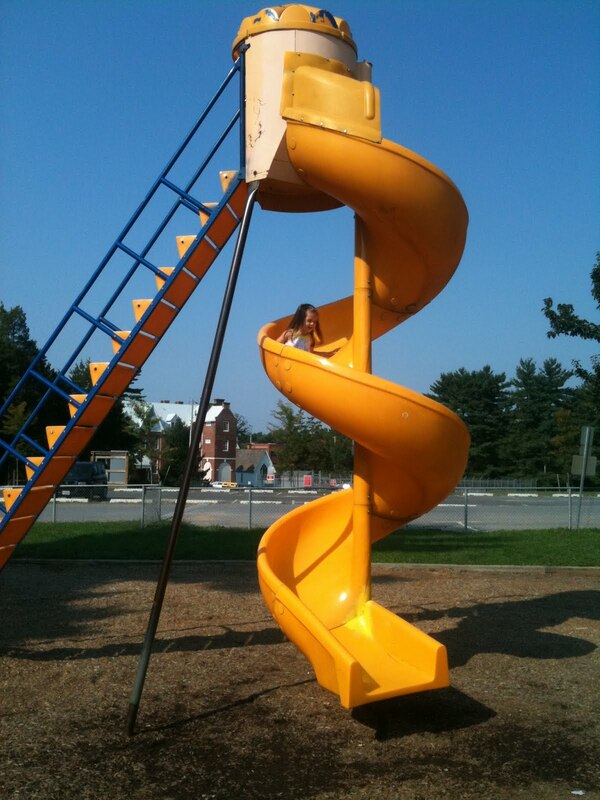 Located in Philly this playground is 6 1/2 acres of fun play! A large, well planned playground with trails, tennis courts, picnic tables and bathrooms. A good playground with great views! Located just off of Route 50 half way between Baltimore and the beaches this large playground and park is a great place to stop and get a little energy out. Another fun playground made entirely of recycled tires! Looks like a great list of places to go! Thank you for linking up to The Sunday Showcase! Ahhh, why couldn't I have found this 2 months ago when it was warmer?! I've only been to a few of these and I'm too impatient to wait until spring so it looks like we'll be freezing our butts off on the slides! What a great list looks and sounds like so much fun ! Located off of Falls Road this playground has walking trails, pavilions with picnic tables and two play areas one for 2-5 and one for older kids. Nice list! I started up a Baltimore playground collaborative Google Map - please edit and add these there - including links to the blog posts - that would be spectacular! New York has some of the best playgrounds in the country. I think your list will be helpful for the parents readers. Now they make their kids happy by entertaining them in playground. Please keep sharing these type of more helpful post with us.